First Prize: NikWax Leather Care Kit. Featuring leather cleaner, leather restorer, aqueous wax for footwear, glove waterproofer and visor water repellant. Ideal combination to see you through wet weather. I reviewed this leather care kit earlier in the year. 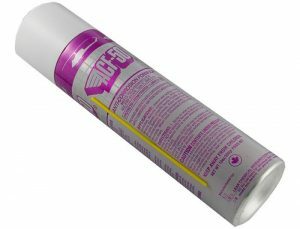 Second Prize: Can of ACF50 anti-corrosion spray. Halts existing rust and prevents new. Perfect for protecting you bike through the winter. 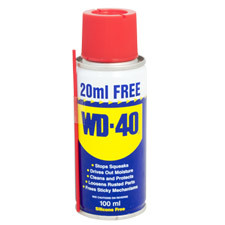 Runner Up Prize: Mini can of WD40. A cute little can of your favourite water displacement agent, ideal for stashing under your bike seat for emergencies. All in all everything you need to keep you riding through the wet autumn and hopefully most of the winter too. So what are you waiting for, enter now using the Rafflecopter below. Closing date is 18th October 2013 at 12:00AM. Competition is open to UK residents only (tricky posting aerosols internationally). Winners will be pulled at random. Cheaters will have all entries disqualified. If you don’t ride a motorbike, you’re crap!